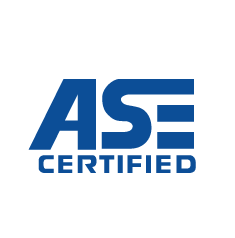 Darin Moore is an ASE certified master auto technician with over 30 years experience who among other makes specializes in Toyota auto repair. If you have a question about Toyota vehicles he can answer it. Thompsons Import Specialties is a import auto repair shop, that services Toyota. located on the north side of Bend, Oregon. Welcome guests. 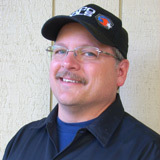 My intent with this article is to help you keep your Toyota vehicle running smoothly. Toyota continues to dominate in reliability and value, which in part is what makes it one of my favorite makes. The Amazing Benefits of Preventative Maintenance. The simplest answer to this question is scheduled factory maintenance. If you do this you will spend less money on a more smoothly running vehicle for the duration you own it. Although people sometimes have reservations about how much they can trust giant auto manufacturers, and with good reason. These guidelines for your vehicle are coming from companies that have a vested interest in keeping your car running trouble-free. If you’re happy with the make of car or truck you’re more likely to buy another one of the same make. Furthermore, a well-maintained car means the manufacturer has to pay out less in warranty claims. The benefits of scheduled maintenance are many but below is a summary. Waiting until your car stops functioning entirely or exhibits noticeable problems has the highest total cost of ownership, due to minor maintenance issues turning into expensive repairs. It’s a bit of a domino effect. A classic example is you skip scheduled maintenance, your vehicle develops an oil leak, runs out of oil entirely, and as a result your engine is damaged beyond repair. Scheduled maintenance prevents parts from wearing each other out prematurely. Parts can wear out but continue to function a significant stretch of time before a problem becomes noticeable, and then results in unnecessary damage or stress to other parts or systems in the vehicle. A simple, routine inspection can reveal an inexpensive part needing replacement and resulting in a minor labor cost before this happens. A properly functioning vehicle saves on gasoline and other fluids. Skipping scheduled maintenance can lead to losses in fuel efficiency and other fluids. It used to be a more common practice to keep a logbook of a vehicle’s fuel efficiency to determine if the vehicle was developing any problems. If you decide to sell your vehicle you’ll find any prospective buyer keenly interested in the maintenance record. A dirty air filter alone can cause a vehicle to lose power and acceleration. Is your Toyota ready for scheduled maintenance? You can also click on the link below and follow instructions to find out. To find out if your Toyota is ready for scheduled factory maintenance click on the link below, click “choose a vehicle” then select your vehicle. Scroll down to Warranty and Maintenance Guides and click on View PDF. Tip: Change gas brands occasionally. Running the same brand of gasoline can lead to engine deposit build-up. Changing brands allows the new gas to remove the particular build up of the previous brand. Toyota’s annual revenue is more than Honda’s and Nissan’s combined. Toyota is investing heavily in self driving vehicle technology aiming to get driverless cars on the road by the 2020 Summer Olympics hosted in Japan. Toyota has sold more than 9 million Prius hybrids as of mid 2016. According to statistics 80% of Toyotas sold 20 years ago are still on the road today. The Toyota Corolla is over 50 years old and has sold over 43 million units worldwide since its debut in Japan in 1966. Toyota is the most widely available brand sold in 170 of the 193 countries in the world. Nearly 75 percent of all Hybrids have been sold by Toyota in the U.S. According to these sources Toyotas are some of the best used vehicles to own. Three of Edmund’s 15 recommended used cars for $18,000 are Toyota/Lexus. Toyota maintenance you can do yourself. Regular oil changes will extend the life of your engine, and is one of the most important maintenance jobs you can perform. Changing the oil and filter in your vehicle gets rid of unwanted particles and residue, allows your engine to function more efficiently, and extends the life of your vehicle. Using high quality brands of oils, and filters, rather than cheap discount parthouse type parts, is highly recommended. Replacing your vehicle’s air intake filter, improves airflow in your vehicle’s engine. Once you’ve determined that your air filter needs to be replaced, In most cases the process is simple, requiring you assess the air box with some simple tools. The benefits can include preventing power loss and maintaining normal fuel efficiency. Rotating your tires can help increase the life of your tires. Rotate the more heavily worn tires with those that are less worn.Suggested rotation patterns for your vehicle are usually found in your owner’s manual. If your tires are strangely worn you made need an alignment. Tire rotation requires a lug wrench, jack, and stands. Rotating your tires improves driving safety as the tires maintain more surface area with the road, deal with heat more efficiently, and channel water away from the tire to maintain traction, as well as extending tire life. Keeping your tires inflated is another key part to car maintenance. You can head over to a gas station with an available air station. Keeping your tires at the recommended pressure as indicated on the tire, or on the drivers door jam inflation sticker, will help increase your fuel efficiency by a couple percent and save money, as well as increase tire life, and help keep that pesky TPMS light on your dash off. Every little bit counts and all these savings will add up!